Writers wanted! Alternative Writers look here. Love Pictures? – Follow me on Pinterest! As I write this I am recovering from a seriously nasty virus, so have been thinking a lot about healing (well I was thinking about it before but have had even more time now!) and what it is that makes it work, be it reiki, acupuncture, crystal healing, qi gung, self hypnosis or any one of the many other types of alternative and holistic healing. First off I’d just like to point out that I’m by no means a healing expert or guru, but have a small amount of experience in that I have taken the first level of reiki training, have received different types of healing, and have been working with meditation and energy work for many years. The first thing that all these types of practices have in common is the use of energy (or Qi, or Chi or life force, or vital energy or whatever you prefer to call it/think of it as. Practices such as reflexology and acupuncture work (as my basic understanding of it goes) by realigning the energy pathways, or meridians that flow through your body. In common with so many alternative healing practices, these systems believe that many things (including physical and emotional events) can cause blockages in your energy lines, leading to illness and disease. I once spent some time listening to a Paul Mckenna self-hypnosis CD which aimed to help you keep your immune system strong and healthy by learning to give yourself an endorphine boost. He sescribes how the place where endorphines are released can be different for different people, but for me it was the heart chakra, the same place as the reiki energy fills up first before going on to heal the rest of me, interesting I thought…. The plot thickened the other day when I read that certain people believe that acupuncture works by stimulating your endorphins. Things continued to get more confusing when I practiced a relaxation meditation that involves following the path of energy around your body, common in things like mindfulness, yoga, and also in Robert Bruce’s New Energy Ways. I felt the energy course around my body, particularly in my hands and feet – very similar to what I have felt when practicing the tarot, but also when trying out QiGong. Reiki, unlike say reflexology or acupuncture, is a passive form of healing in that the healer is merely a channel for a an energy source that exists outside (but also inside!) of our bodies. My reiki healer would often say how much she liked giving reiki treatments since it was also a treatment for her. Yet I began to wonder, since the feelings of energy, the burst of pleasure associated with endorphins, was pretty much the same as what I had experienced from all these other metaphysical practices. Was reiki just a self delusion? Tricking yourself that there is something greater when it’s all within you? But then I realised the (perhaps obvious) answer – This energy, this Qi, Life Force, Love, Divine Light, Mother Nature, God even if you are religious, whatever you call it, is not only within us, but also powers the universe. It is the thing that I think I have always believed makes the world go round so to speak. And importantly, it’s all the same thing! Whatever you call it, however you manipulate it – drawing it in from the world or redistributing it in your body, it’s the same, all is one! The feeling of endorphins being triggered is a sign of us connecting to that universal force. love, whatever, and is a very healing thing. Even before I connected all this I began to intuitively feel that whenever I triggered that feeling, I was getting some strong healing. We love to be in love as that triggers that feeling, but a relationship can also bring negatives, but if, as someone once suggested to me, we can hang on to that feeling of love, regardless of there being a single object of it, we can be happy and healthy. You probably know the way that when you start thinking of something it keeps coming up in new ways, (some people call this synchronicity) and having just started QiGong, the first exercise I am learning is called ‘Butterfly Dancing in Front of Flowers’ and is all about opening your heart to the universal energy – what a great time and place to start this journey! What are your thoughts on this? Was this obvious to you all along or has it made you think? Do you have other ideas on the way healing (and energy) works? Get involved below!! Paganism is usually thought of as a nature religion, but for many Pagans who live in a town or city, and even for those in the countryside, it can be difficult to know how to incorporate nature into your rituals and spells. Elsewhere I suggest finding things from nature and putting them on your altar or using them in spells and rituals, but here I will describe another way of interweaving nature with your life and beliefs! Since birds vary so much in physical characteristics (from big to small, from many coloured to plain) and in character (eg some birds being hunters, other singers, others more family orientated, and many a combination), we can use them as symbolic forces to aid in healing, balancing our weaknesses, and nurturing our strengths. Through the wisdom and power of bird medicine we can life up our spirits and strengthen our sense of clarity and balance. The skies have long been associated with a freedom far removed from everyday life. When we feel depressed or unable to act, bogged down in everyday life, we can look up at the birds for inspiration to leave the mundane world and life ourselves through the air by potent magical ritual. Just as the ancient Greeks and Egyptians among others revered many birds, such as Osiris or the Phoenix, so in Western religious lore through Angels can we see a link between birds and holiness. Birds link us to this realm of the sky by at once living on earth but being able to fly high. The realm of air is connected to oxygen and breath. One of the best things you can do for a calm mind is to take deep slow breaths and draw energy into all parts of your body, this is at once relaxing and enlivening. Thinking about birds can help to remind us to slow down and truly draw in and appreciate the air element, and the way in which it can bring us pleasure and calmness. As with any aspect of Paganism and Wicca, your imagination is in a way your only limit to the way you practice both life and magic, but here are some suggestions of ways to connect with bird medicine. Birds make amazing entertainers if watched regularly. You will soon learn to know their habits and routines and see many quirky things they do. Get some binoculars to really get close to them, and see their markings and behaviour clearly. By practising bird watching you can improve your skills of patience and observation and enjoy nature in an engaging way, as well as gain a deeper understanding of these mystical creatures. You can study natural history books and draw them in a sketchbook that you keep specifically for this purpose. This will really help you to understand their abilities and special powers and characteristics, and from there you will begin to realise how to incorporate these traits into your own life. When you’ve found a bird that you feel a particular affinity to, try and get a feather of it. Feathers contain the energetic properties of the bird, and to make the connection between you strong, it’s important to either find or be given the feather. Be careful though as some feathers are actually illegal to own, such as the eagle feather, unless you are classed as a native american. By placing the feather on your altar or sacred space, it will help you to remember and connect with the bird’s healing medicine. You can honour the feather in your rituals and prayers, why not say it’s characteristics and strengths out loud? You should make offerings to the spirit of the bird – what you offer is up to you, you may wish to offer your own hair to cement the bond, or gather acorns, nuts, herbs or other natural things. Coming Soon – Part 2 – Birds and Their Healing Properties – Discover the powerful characteristics of the crow, heron, eagle and more! Stressed? So tell me, how well do you think you know a raisin? Minfulness Meditation on a Raisin to get rid of your stress! I recently got the chance to have 10 mindfulness stress based reduction classes for free. As I am a student as well as shop owner, despite thinking of myself as easy going I have experienced my fair share of stress lately so was looking forward to the classes. Mindfulness is about living in the moment, being able to step away from the constant chatter of thoughts and of planning this and that, even if just for a little bit, but with the intention of hopefully living your life in a calmer and more thoughtful way. I’ll write more about mindfulness in the future but for now I want to share with you the first excercise we did – The Raisin. An open and enquiring mind. Take the raisin and close your eyes. 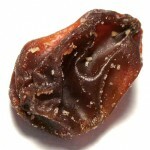 Try and imagine you are from mars or lala land or whereever, and that you have never known a raisin. Slowly run your fingers over the raisin, noting any curves, jagged bits, smoothness, crevaces and so on – do this for a few minutes until you have truly experienced the landscape of the raisin. Finally – taste the raisin – chew it up slowly and thoughtfully, allowing the taste and texture and the sensations of eating it to take over. This is perhaps the most amazing bit – something which you may do habitually eg shoving several raisins in at once without thinking, becomes a totally different experience. If like me you don’t actually like raisins, you may find that since the taste is stronger than ever, its a bit yuck (altho eating them is not compulsory for the excercise!) but it proves the point that much of what we experience ignores the full depth of the experience. The raisin excercise shows us how experience can be transformed by bringing curiousity in what we do, and this is frequently drawn upon in mindfulness classes, where we are invited to be curious about sensations in the body and mind that we think we are super familiar with but are probably not – and this can bring new joys to our lives! Yay! 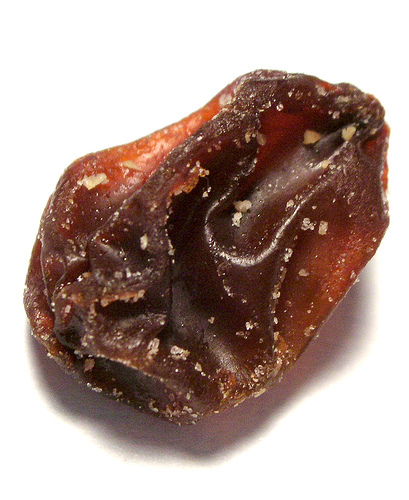 I hope you enjoyed your raisin, I’ll be writing more about mindfulness in the future! 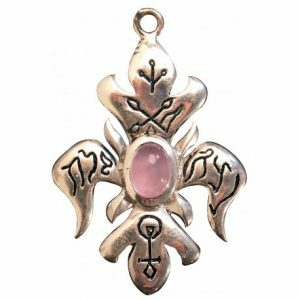 There are many ways to heal yourself, from visualisation to meditation or Reiki, but a powerful assistant can be a crystal or gemstone. Crystals are great for healing as they vibrate with concentrated energies inside them – hence why quartz is useful in watches. But before you can use the gemstone you need to learn how to activate it and what to do with it. In my shop you can see a great selection of crystals for healing, and what the properties of each stone are, I have lots of gift sets that use a combination of crystals to heal you more holistically (for instance to cure insomnia you can have a crystal to clear the mind, one to relax the body, one to ease anxiety etc), or as a general rule Crystal Quartz, sometimes known as rock crystal, is the master healer, generally boosting immune system and helping most ailments. Take a look at my article to see easy step by step instructions for activating and using crystals. Learn about Japanese Culture – Aino Folktales, Reiki and Akitas! I was doing some research today on elements of Japanese culture and discovered some lovely folktalkes, learnt more about the beautiful Akita dog, and wrote a little bit about Reiki Healing. I first became interested in Reiki Healing when I got really sick whilst travelling, after one session I felt SO much better, and more calm and peaceful than I ever have before or since, the lady must have been an incredibly powerful healer. So click here to find out a little bit about what Reiki is and how it works, and to see some reiki jewellery and reiki meditations that are availbable in my shop. Posted on February 6, 2010 December 1, 2011 Author StormJewelCategories Alternative Healing, ReikiTags Alternative Healing, ReikiLeave a comment on Learn about Japanese Culture – Aino Folktales, Reiki and Akitas!